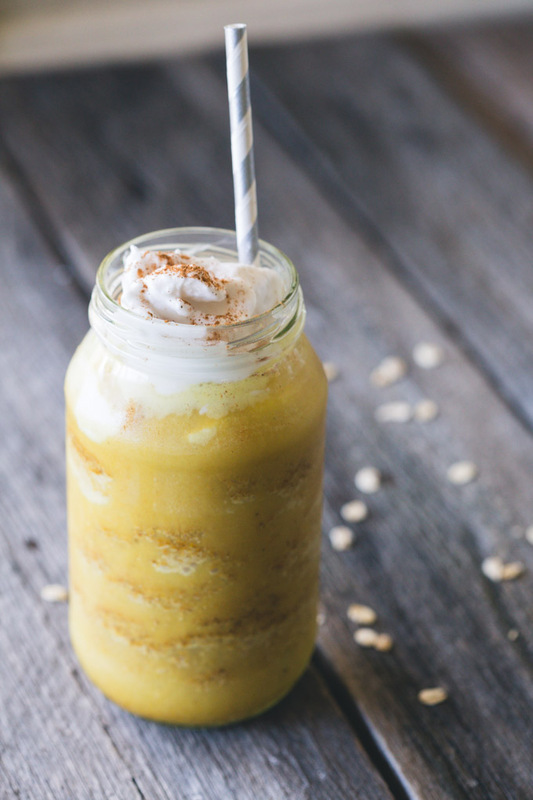 With the healthful benefits of turmeric and ginger, this Iced Spiced Turmeric Latte is an iced glass of sweet, spiced goodness. I am trying to drink less coffee. Anyone who has visited this blog will know that I face the adventures of each day with a large jar of iced soy coffee clutched in a death grip between my fingers. Each jar is 500ml and loaded with coffee. If chocolate is the dark lord whose alter I pray, coffee is his muscly side-kick keeping me on my path. I am trying to step away from the big guy’s embrace. We’re not breaking up, we’re just cooling things a little. This iced spiced turmeric latte is my new squeeze. When I heard about turmeric lattes, I admit to an involuntary eye roll. I can’t keep up with all the food trends, let alone the drinks. However, in my quest to find a coffee replacement this golden drink is fast becoming a favourite. 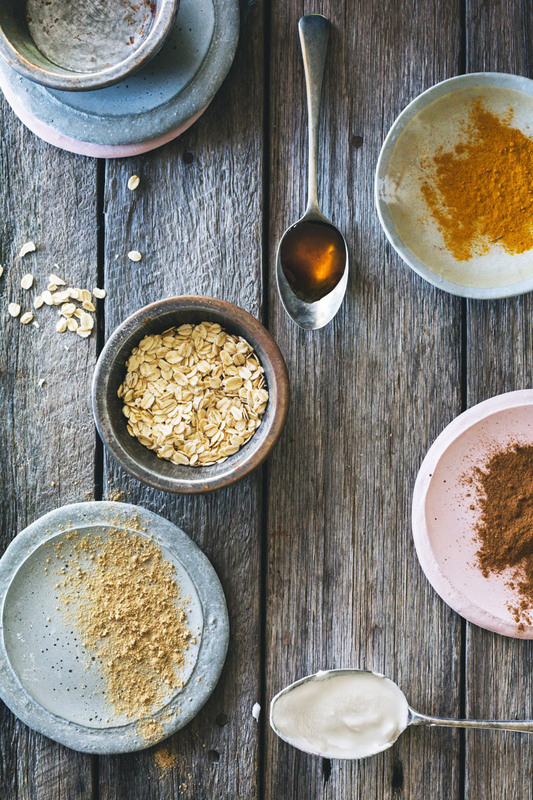 If you love chai or pumpkin spice flavours, turmeric lattes are certainly worth a try. I don’t drink hot coffee so this iced spiced turmeric latte is perfect for me. I thought the turmeric might be bitter but the sweet maple and warming cinnamon cut through any bitterness to create a wonderfully balanced spiced sip. While you could certainly make this recipe using milk instead of coconut water I find soaking the oats in a small amount of dairy-free milk and blending with the other ingredients creates a lovely creamy texture. After trying both, with and without milk, I found there simply wasn’t any need to load up on milk. This version is sweet, slightly creamy and refreshing. 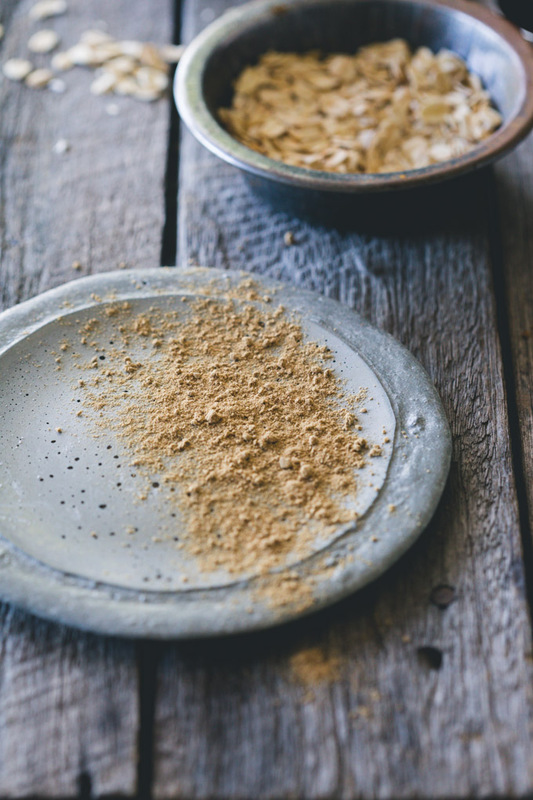 If you are strapped for time, you can blend the oats and milk without soaking them; you just need to blend all the ingredients without the ice until smooth and then add the ice. I soak the oats to ensure a smooth consistency is all. While I can’t guarantee this iced spiced turmeric latte will break coffee’s hold on me, it is an excellent place to start. 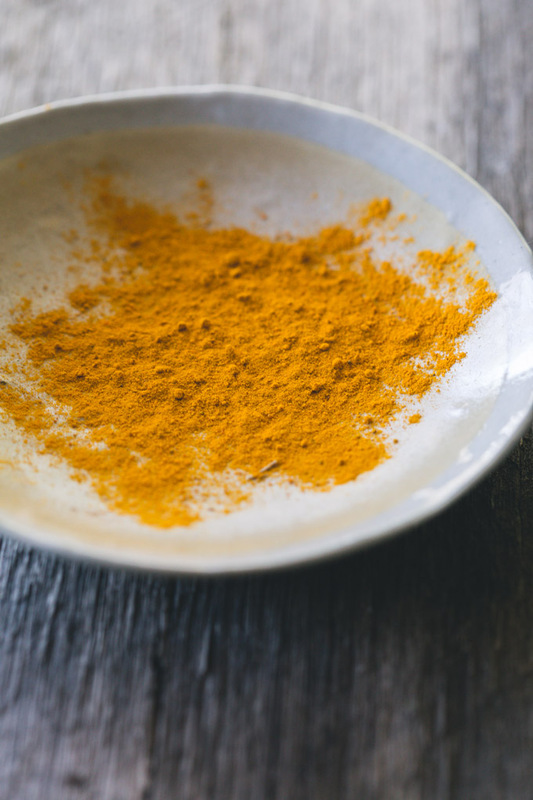 With the anti-inflammatory benefits of both turmeric and ginger, it is far better for me too. This gorgeously golden, slightly sweet, slightly spiced iced drink is my new friend in a glass and its delicious balanced flavours just might hold coffee at bay. For now. Enjoy. 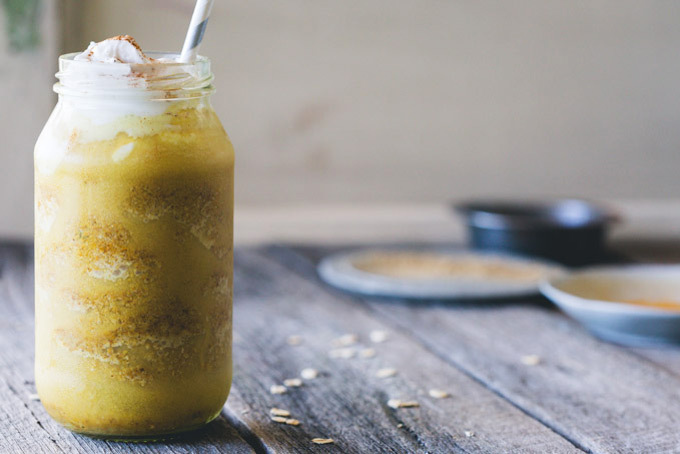 With the healthful benefits of turmeric and ginger, this Iced Spiced Turmeric Latte is an icy glass of delicious goodness. To make the turmeric syrup, combine the turmeric, ginger, cinnamon and maple syrup in a saucepan and heat until combined and smooth. Remove from heat and allow to cool a little. Place all ingredients in a blender, other than the yoghurt, and blend until combined and frappe. This Turmeric Latte looks amazing! I love the addition of oats to make it filling. SUCH a great idea! Thanks so much Laurel (what a beautiful name!). I love the oats and I suspect you could probably do chia seeds also. I might test that one out. Thanks for stopping by. 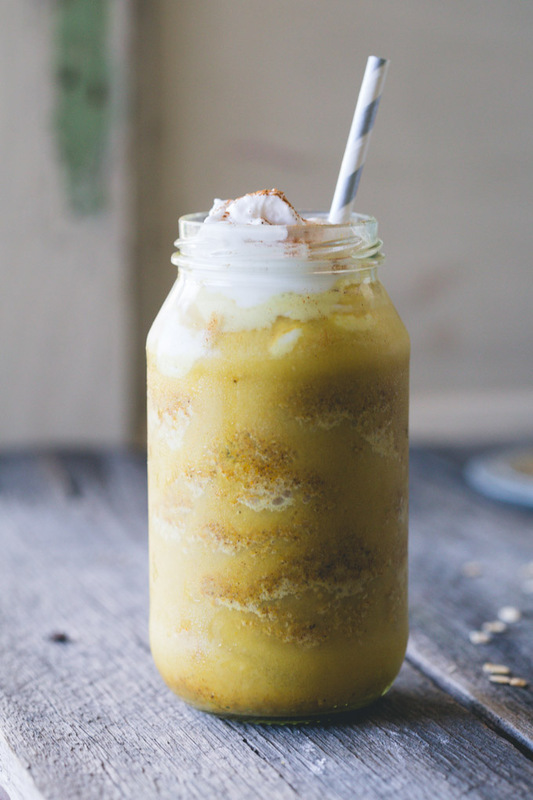 I’ve also been on the fence on turmeric lattes and I’m not a fan of the pumpkin spice coffee malarky, BUT I’m going to have to try this, as it looks so gorgeous!